The Intersections & Beyond: Knowledge Channel holds "Lead the Change 2010"
Knowledge Channel holds "Lead the Change 2010"
The Knowledge Channel Foundation has been committed to its mission to reach the children through educational television and online learning for many years now. 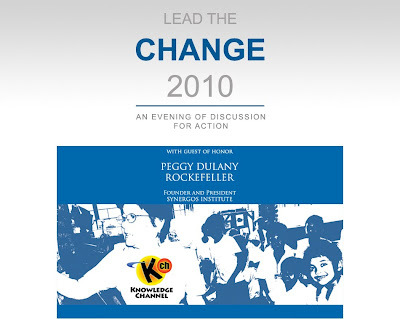 On February 17, 2010, the Foundation will hold a new groundbreaking event dubbed as "Lead the Change 2010" to be held at the Rockwell Tent in Makati City. It is a gathering of prominent people and a marketplace of brilliant minds who will share ideas in an evening of discussion about moving the Philippines into action in business, social development and public governance. Lead the Change 2010 is a timely event to address various concerns on reducing poverty in the areas of education, health, population, governance, environment and peace. Rina Lopez Bautista, President of the Knowledge Channel is excited to hear what the high-profile business, diplomatic and public officials have to say about how to face the challenges of our country today. We will commit to a plan of action on how Knowledge Channel can bridge the gap between knowledge and skills in the aforementioned areas. Public schools have a growing need for quality education because of lack of resources coming from the government. Many students are deprived of the learning they deserve. Knowledge Channel fills in that need by providing the right tools for learning through media and technology especially in the fields of English, Math and Science. Help provide a public school with Knowledge Channel so that students will be able to maximize their learning while having fun. Let us support in this endeavor by bringing the gift of knowledge to as many children as possible. 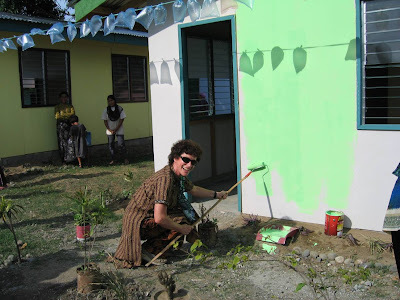 Ms. Peggy Dulany Rockefeller, founder of the Global Philantropists Circle and Synergos Institute, will grace the event as its guest of honor. Synergos Institute was launched in 1987 as an independent nonprofit organization intended to create effective and sustainable solutions against poverty. Oscar M. Lopez, Chair of the Lopez Group of Companies and Chair of the Knowledge Channel Foundation will also deliver an inspirational message.